Last night, two more teams secured their spot in the coveted Final Four. Read on for more of last night's excitement! The first game of the night pitted the South Carolina Gamecocks against the Florida Gators. At the end of the first half, Florida was up by 7 points much to the delight of Gator fans with a score of 40-33. 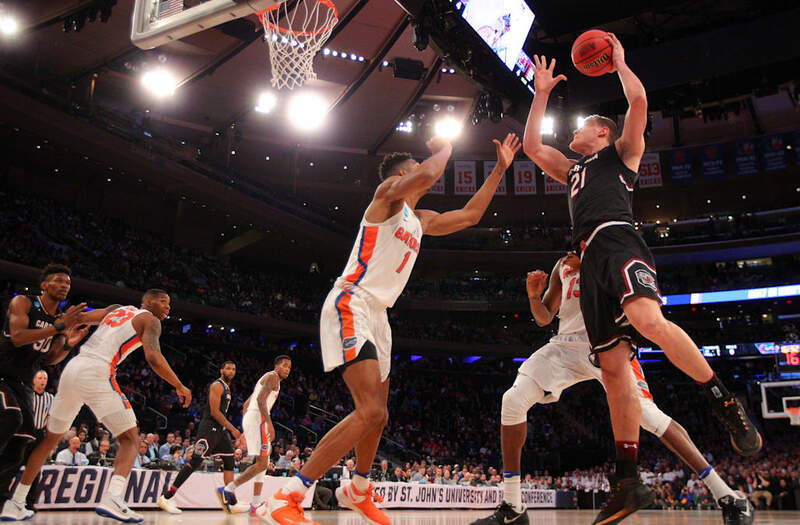 But the Gamecocks weren't going to give up and scored an additional 44 points in the second half securing them a spot in the Final Four with a score of 77-70. To close out the night, the Kentucky Wildcats took on the North Carolina Tar Heels. In the first half, North Carolina was ahead by 5 points with a score of 38-33. Kentucky threw it into overdrive during the second half to try to gain the lead. Unfortunately, they were only able to add another 40 points to their score while North Carolina scored an additional 37 points securing them the game with a final score of 75-73. The Final Four is officially set and the four teams who will be moving on are South Carolina for the East region, Gonzaga for the West region, Oregon for the Midwest region, and North Carolina for the South region. These four teams are the winners for their region but only one will be the overall winner of March Madness. Tune back in April 1st for the last four games.